Facing pressure from the powerful farm lobby that is coming to collect after supporting his presidential bid last year, Brazil’s far-right president Jair Bolsonaro will deliver a bill to Congress to pardon the pension debts of agribusiness companies. The decision provoked an outcry by official agencies. The Office of the General Counsel for the Federal Government, the Office of the Counsel for the Federal Treasury, and the federal tax authority have warned te pardon could be an impeachable offense, while even members of the government’s economic team are opposed to the idea. Bolsonaro is bringing back a 2017 bill that was originally introduced during the Michel Temer administration, which would pardon pension debts with Funrural, the country’s rural pension fund paid by the corporate sector, which has evaded estimated R$17 billion (roughly US$4.4 billion) in taxes from the Rural Workers' Assistance Fund. Also in 2017, the Temer administration renegotiated these debts and offered significant discounts to rural companies, but the rural caucus has insisted on the debt pardon. Members of Congress have been using the matter as a bargaining chip with the government to secure the necessary votes on important issues, such as the proposed pension reform. Marcos Rochinski, the general coordinator of Brazil’s National Confederation of Workers in Small Family Farming, criticized the measure, arguing that it is “unfair” with the Brazilian society and family farming. “We think it is preposterous to vote and even consider this kind of benefit right now, especially because the government has been calling society, and especially the rural sector, to solve budget deficit problems, to cut social programs… And it’s absolutely preposterous to grant this benefit to an industry that has been benefited throughout our country’s history,” Rochinski says. The union leader says that other programs aiming to support small and family farmers, as well as affordable housing programs for rural workers, have been cut back, allegedly to tackle the budget deficit and balance the government’s accounts. The union leader also explains that the new move aims only to pardon debts arising from social security contributions that should have been paid by rural companies — while contributions paid by small farmers are based on what they can effectively sell. The agribusiness takes advantage of that misconception, Rochinski says, to argue that the industry is paying twice for pension contributions, and that the bill Bolsonaro plans to push would be good for small family farmers. But that is not true, according to the coordinator of the organization of small family farming. “Last year, when the Temer administration was trying to push this bill, they would use a very sneaky, nasty argument that small family farmers would have their debts forgiven. And we had to work hard to let them know these are completely different things: one is the renegotiation of farm debt; and the other thing is granting pension benefits [to companies],” Rochinski argues. Not only Brazil’s National Confederation of Workers in Small Family Farming, but also other organizations of rural workers, such as the Landless Workers’ Movement, are opposing the bill. 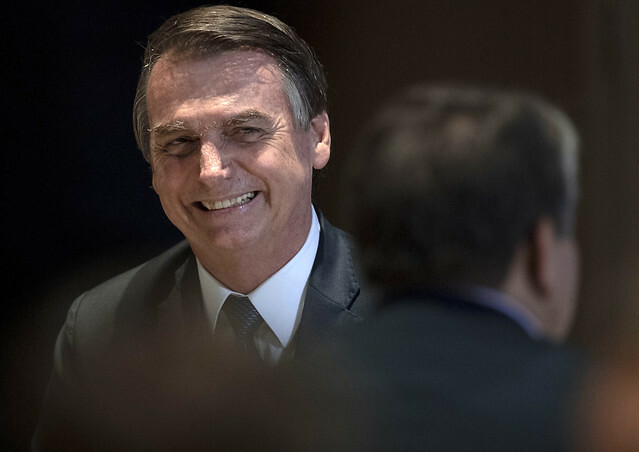 The president of Brazil’s lower chamber, Rodrigo Maia, has publicly stated that Bolsonaro asked him to make the Funrural debt pardon bill a priority, which means it will be brought to the floor in 45 days.